Preheat your oven to 180'C / 350'F / Gas mark 5. In a large bowl, sift the gluten-free flour, baking powder and xanthan gum together. Add the dairy-free margarine, sugar, eggs and vanilla extract, then whisk well. Add the mashed bananas and whisk again for one minute. Fill your paper cases about 2/3 full with the mixture and bake for about 20-25 minutes, until well risen and springy to the touch. In a separate bowl, make the icing by adding a few drops of water with a little flavouring to the icing sugar and mix well. 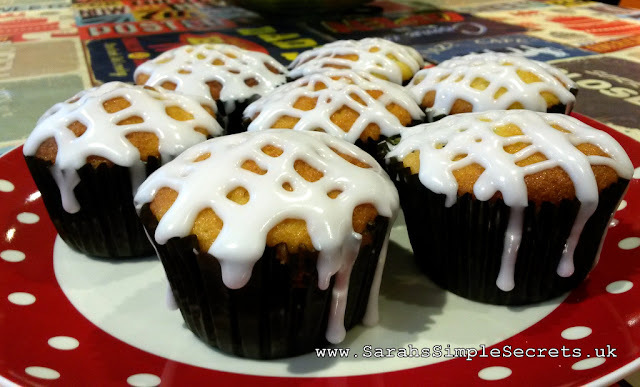 When the muffins are cool, pipe the icing on top of each muffin in any design you want!